Metal halide lamps, a member of the high-intensity discharge (HID) family of lamps, produce high light output for their size, making them a compact, powerful, and efficient light source. Illumination of areas under inspection is very important. Here is the choice between halogen, xenon, metal halide and LED lighting. 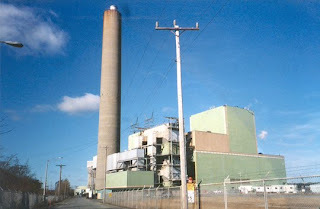 Each light source technology has its advantages and disadvantages. A halogen lamp is an incandescent lamp in that is affordable but produces yellowish light. 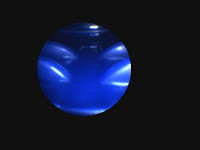 A Xenon lamp is another type of lamp that produces a vivid white light with a high color temperature and volume but is large and heavy. LED lighting is becoming more popular as the technology improves its ability to produce sufficient light. If you need portability and small size of light source you may pay attention to LED powered videoscopes while when you require to inspect large gas turbines you would prefer a videoscope powered by a metal halide lamp. 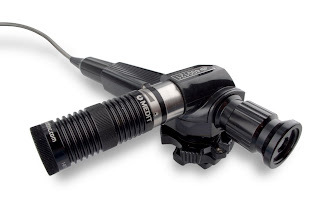 If you're looking for a convenient borescope light source you can find a good selection at Fiberscope.net light source category page. 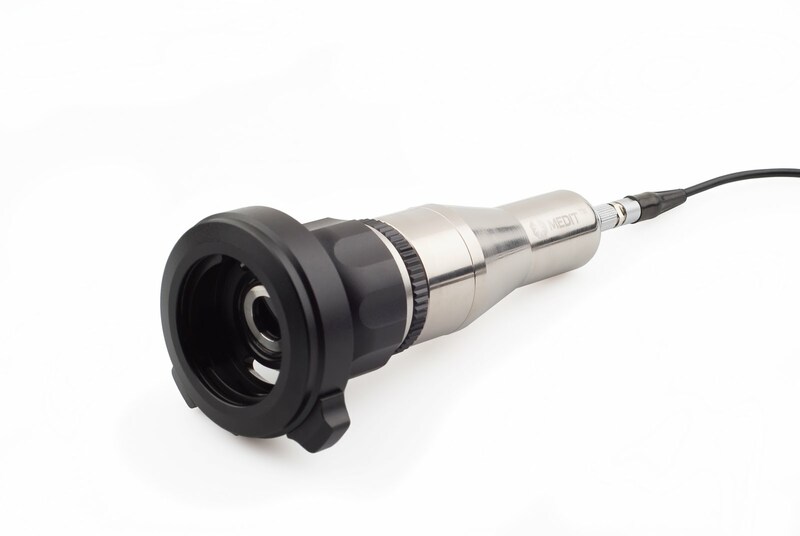 Super thin fiberscopes are used to remotely inspect the smallest areas. 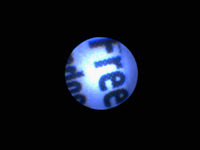 Sometimes applications require access through the smallest holes less than 1.0 mm. Typically these super thin borescopes are limited in length and direction of view is forward. These small inspection areas provide remote visual inspection professionals with many challenges. The access dictates the inspection requirements more than any other factor. The smaller the inspection area the more limited the choice of borescopes available and the number of manufacturers of these micro borescopes. • Engineering Manufacturing. Super thin Fiberscopes provide cost-effective examination of internal structures without tear down. • Quality Control. Super thin Borescope instruments allow manufactures to inspect components for defects. Mini borescopes provide the ability to inspect internal components, bore holes, castings and other manufactured items such as turbine blades, automotive components, circuit boards, rifle barrels and welds. • Castings. 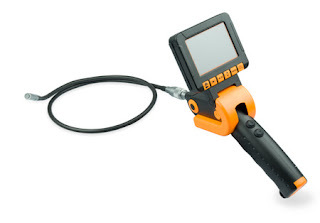 Super thin Fiberscopes can be used to inspect inside casting of engine blocks and other high quality casted components. At Fiberscope.net you can find a full range of micro borescopes for remote visual inspections. Optical borescopes and fiberscopes can record video with the help of a CCD camera. 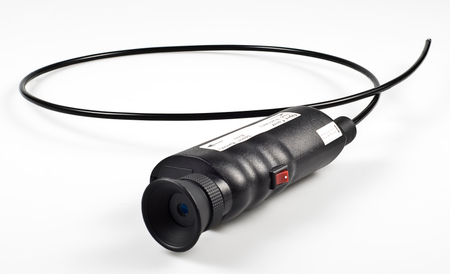 The CCD camera is attached to the eye piece of the borescope with a C-mount video coupler. You get a very convenient device - both for optical (eye) inspection or to view the video on a TV monitor. Various adapters can transform analog signal to digital. 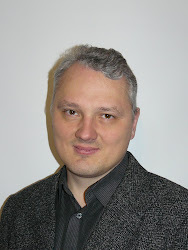 They are so called Image Capturing devices or boxes. With the help of such a set - Fiberscope + CCD Camera with a coupler + USB Capturing device - Inspections can be viewed and recorded on a laptop. 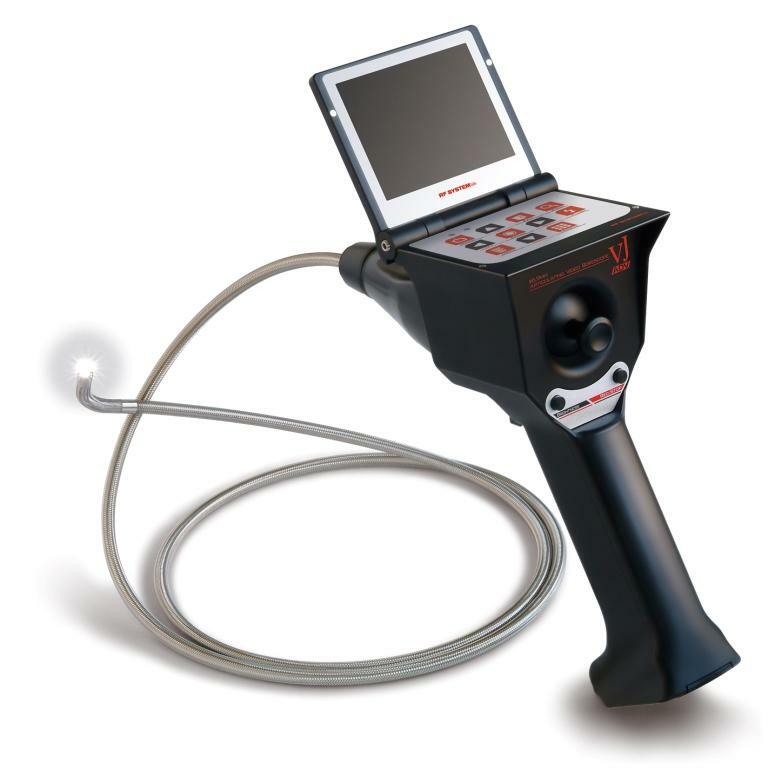 For more information about borescope cameras see this page, or please email me. 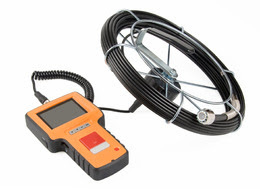 It is important to understand some terms when choosing the right inspection tool - borescope. The field of view (FOV) is the angular extent of the observable inspection area that is seen at any given moment. Borescopes, fiberscopes, videoscopes and other remote visual inspection equipment should all list field of view in their specifications. A wide field of view allows conducting a turbine inspection to complete each section in one pass while a narrow field of view may require the inspector to inspect the same section of turbine blades twice and take more time to conduct the inspection. 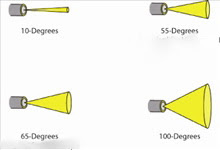 It is also worth attention to evaluate how a different field of view affects the depth of field (the distance from the target a clear image can still be seen). 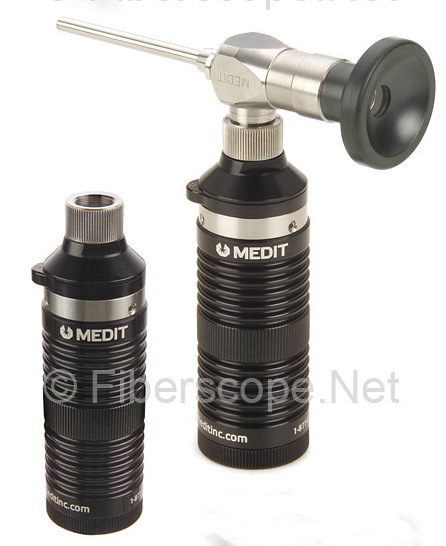 Typically, the wider the field of view a borescope has, the shorter the depth of field. 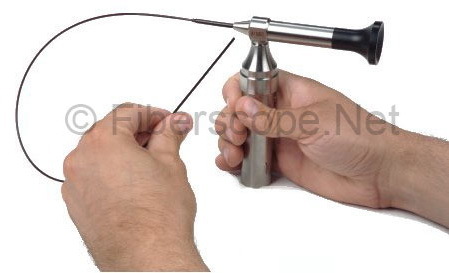 See more information about borescopes at Fiberscope.net industrial store.